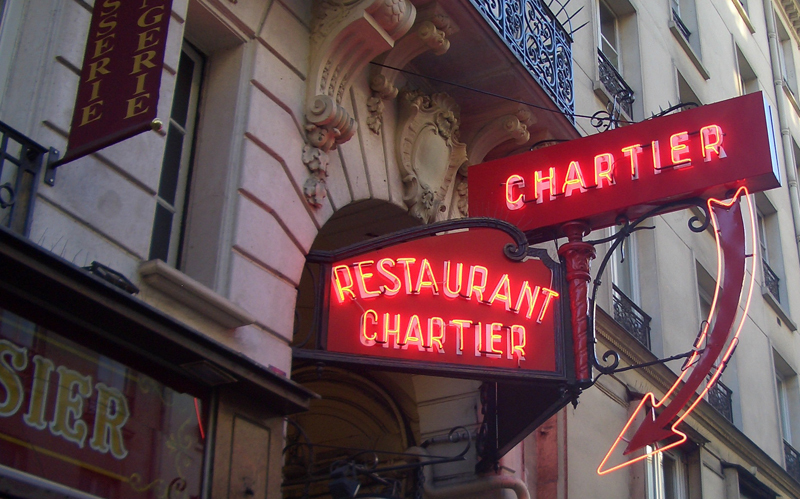 My new favorite restaurant in Paris—not so much for the food, as for it’s graphics and interior. 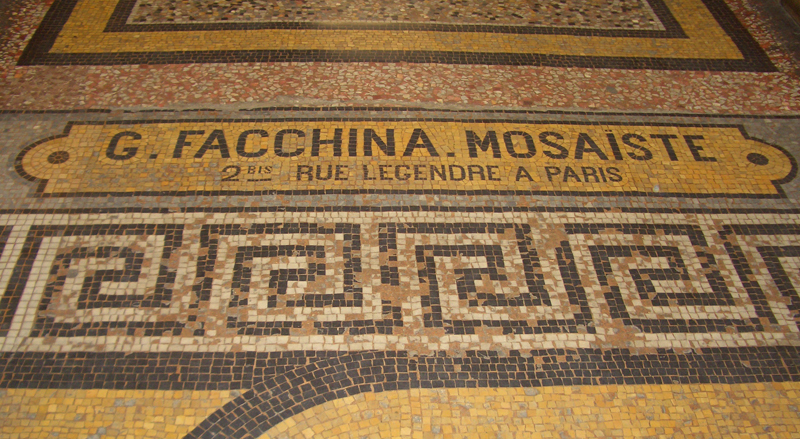 The mosaic floor of one of Paris’ many arcades. 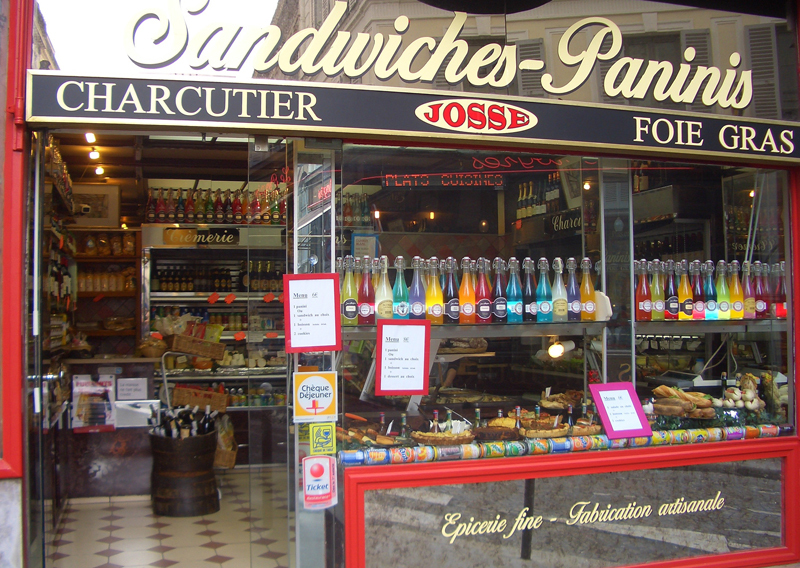 A sandwich shop. I love those colored bottles! 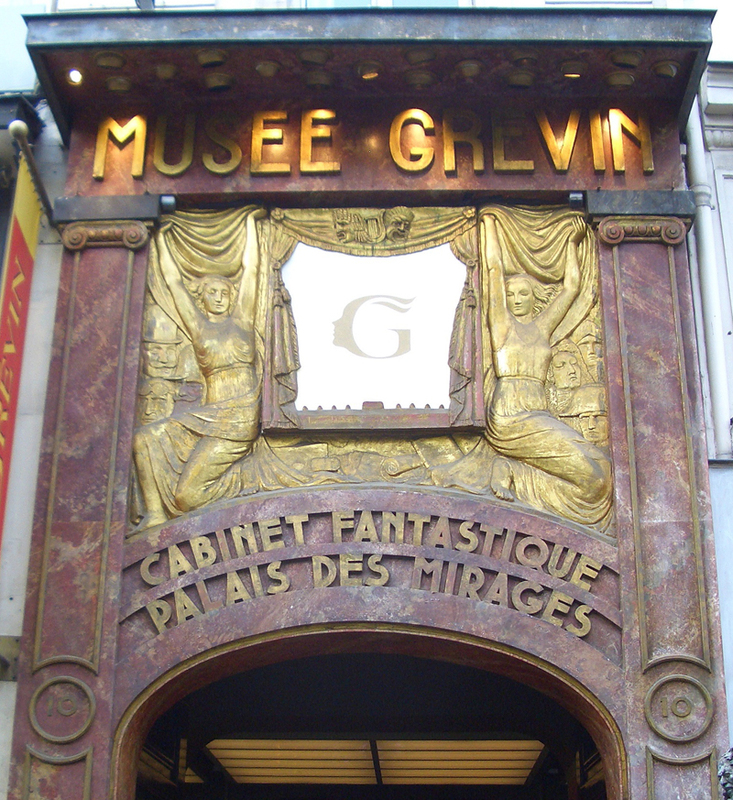 Metro signage – not the typical art nouveau version everyone’s familiar with. A confectionery shop with signage that dates back . . . who knows how long? Still in perfect condition. 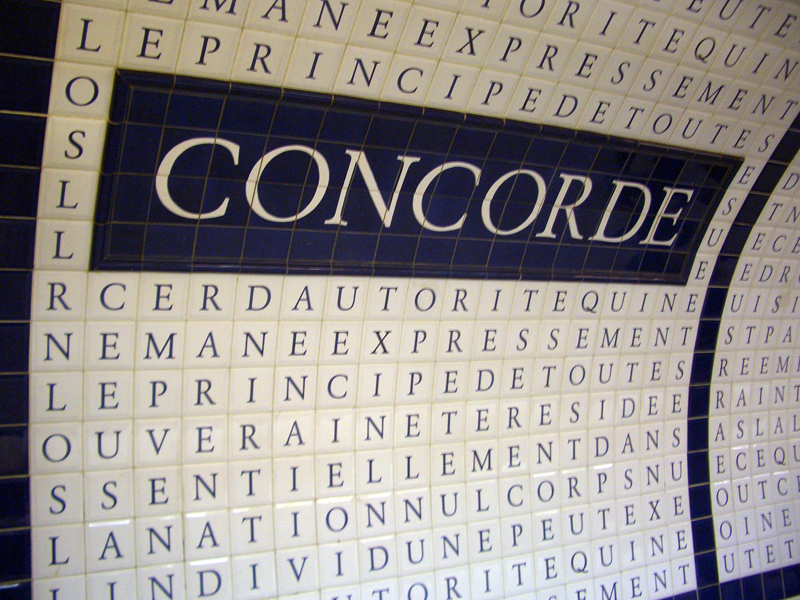 Contemporary tile work in the Metro’s Concorde Station. This incredible project was begun in 1989 and contains the text of The Universal Declaration of Human Rights. This typographic work covers the entire arched wall and ceiling of the station. 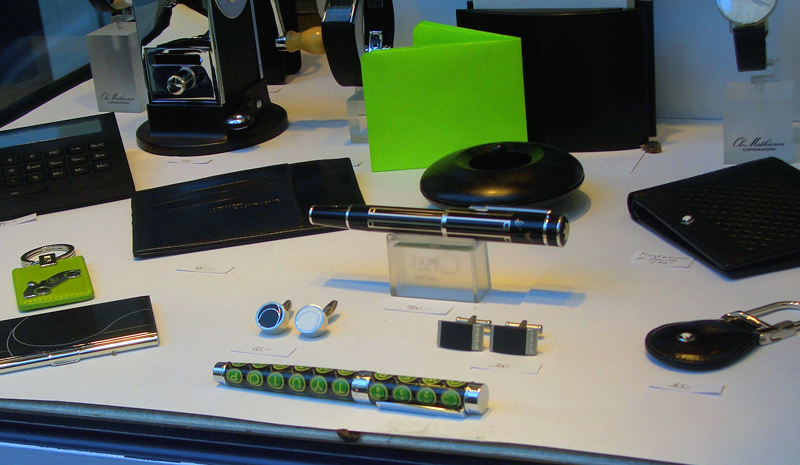 And finally, (please excuse the shameless plug) while walking the streets of the Marais, I happened across a shop called “L’Art du Buro” which had my QWERTY pen displayed front and center in its window. Certainly an ego boost, if ever there was one!